An extremely popular yarn, available in a wealth of lovely colours in 100% cotton. Can be used for pretty much everything and suitable for both children and adults, and not least the home. Meterage approx. 170 m/50 g.
Cotton comes from the cotton plant and is a kind of fibre that grows around the seeds of the plant. The cotton plant has a very distinctive look, can grow up to 3 metres high and the raw cotton is formed in white balls that look like candyfloss. It grows in hot, sunny climates and has been used to manufacture clothing for several thousand years. Cotton yarn is therefore a 100% natural material and consists exclusively of plant fibres. Cotton yarn is extremely useful for making clothes, and therefore it is one of the most common yarn types found in the home. “8/4 cotton yarn” is a certain, specific type of yarn. 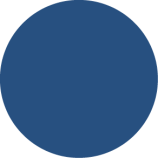 This is an expression of the measurement of the thickness of the yarn, in which the “8” indicates that 1 gram of yarn is 8 metres in length, and the “4” indicates the yarn is 4-ply, or spun from 4 separate threads. The higher the number, the thicker the yarn. Most of us know of cotton yarn as it is one of the most widely used and popular yarns available, and there are several reasons for this. Cotton is a high-quality material, soft and comfortable, and due to its many practical features, this yarn has an incredible number of uses. It is an ideal choice for light clothes, warmer jerseys, teddy bears and children’s clothing as it can withstand machine washing at temperatures up to 60degC. Cotton yarn is also very suitable for crochet work. For example, if you want to make a personal gift for a child’s birthday or Christening you can crochet a cute teddy bear. Or you can surprise your family and friends with home-crocheted oven stands, oven gloves or tea towels. With cotton yarn, your imagination is the only limit, and with our wide range of colours you can really be creative. 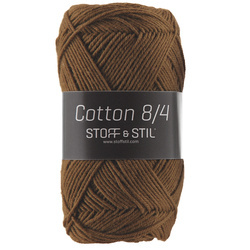 At STOFF & STIL you can buy 8/4 cotton yarn for all your knitting and crochet projects. Cotton is the safe choice all round. It is beautiful to look at, incredibly comfortable against the skin and very practical and durable if you wash and treat it correctly. On this page you will find cotton yarn in all the colours of the rainbow, and often at special offer prices. The colours range from greys, browns and blues, which are ideal for a good autumn knitting project, to yellows, greens and reds, which will be perfect for a light summer top. But we also have all the colours in between, and you can even find yarns of mixed colours too. Now that you have made time and found the enthusiasm to knit a nice cotton yarn sweater, it would be a shame if you were to damage it, for example by washing it incorrectly. Therefore, it is important to know how to treat your cotton correctly. Most cotton can withstand machine washing temperatures of 40-60degC, but the limit is always written on the yarn’s wrapping label. Washing the cotton yarn directly may cause the colour to change, and always wash your finished article separately, as it is most likely a little more fragile than the cotton clothes you buy in the stores. Never use fabric softener as it destroys the fibres in the material, and never use the tumble dryer due to the risk of shrinking. If you treat your cotton products correctly, they will stay in perfect shape for many years to come. If you want to ensure you have clothes at a reasonable price, buying cotton yarn is the safe way to go. Cotton is available in many different varieties and as a mixed product. For example you can look at our mix of cotton and acrylic yarns, or if you need more warmth in the winter months, we also have a range of yarns with a mix of cotton and wool. There are many possibilities and you can choose which type will be best for the project you have in mind. 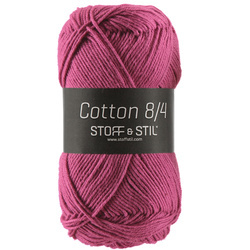 Buy your cotton yarn from STOFF & STIL today and have it delivered within 2-5 working days. Discounted rates of shipping may be offered if you buy in bulk quantities, but however much you decide to buy, we will be ready to help you with your purchase.